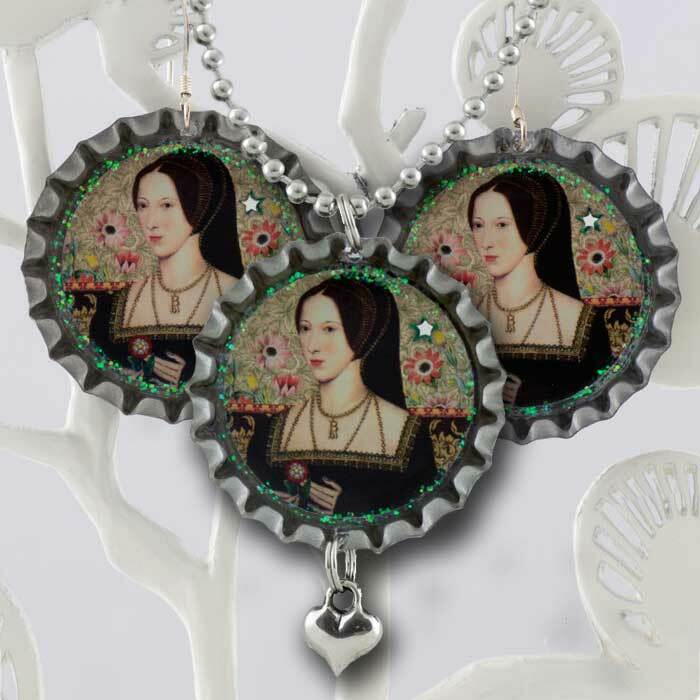 This matching necklace and earring set offers a saving of $2 compare to buying the pieces separately. 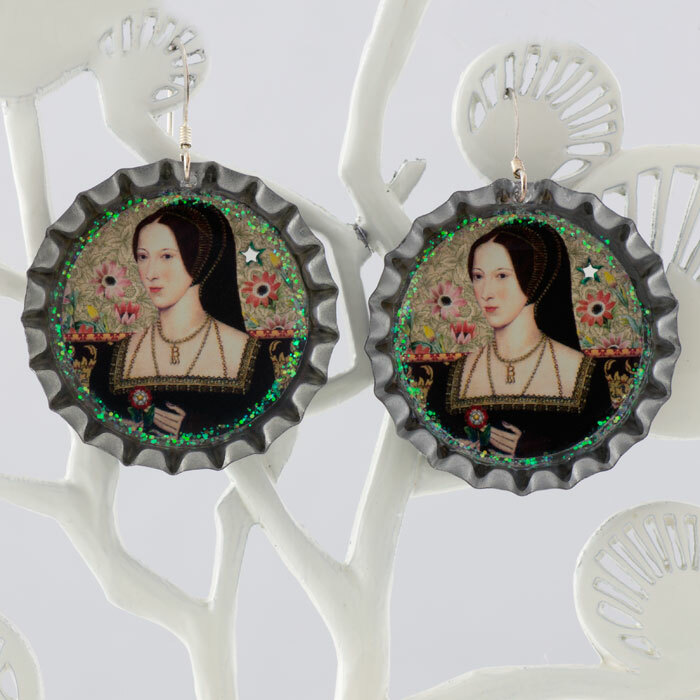 The set features a collage by Tiffini Elektra of the famous Hever portrait of Anne Boleyn with pieces of an antique anemone botanical and ornamental paper in the background. One of the symbolic meanings of the anemone flower is “forsaken”. The inside of the bottle caps are - one of a kind - decorated with gems and glitter. 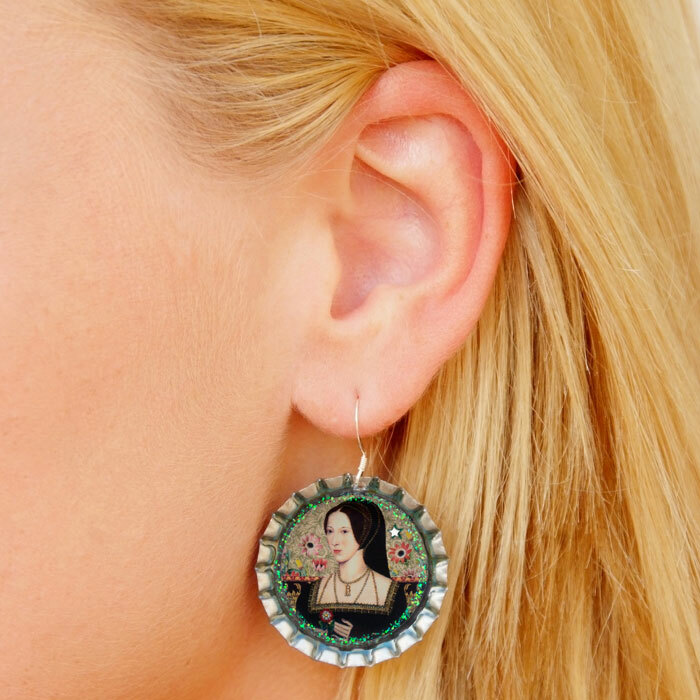 The miniature photograph is protected by a durable, archival and flawless resin that safeguards the image from water damage and fading. Rendering the charms completely waterproof. 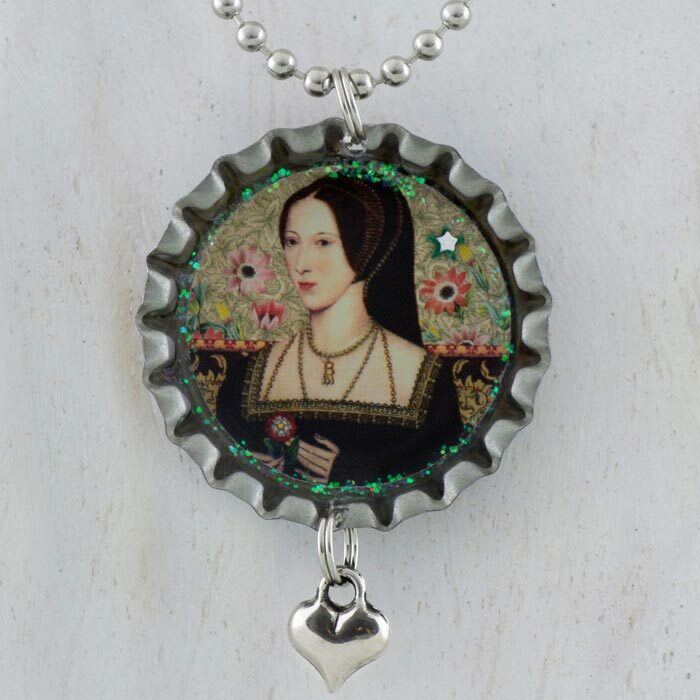 The back of the bottle cap is waterproof and specially printed with a Tudor Rose. Made from unused vintage caps with the edges still flared so that they are not sharp. The French ear wires are sterling silver and the necklace chain is a 24 inch nickel plated silver bead chain that you can easily cut to your desired length.